Michael Prunty is a college and high school soccer coach from Cedar Rapids, Iowa. Over the years, Michael and I have exchanged messages and Tweeted back and forth. But this conversation you’re about to hear is the first time we actually spoke to each other. You’re going to hear Michael talk about coaching education. He has some strong feelings about the way we teach the game here in America. He went as far as starting a website to share his thoughts. Here are links to Michael’s website and to his Twitter. One of Michael’s former players, Mandy Pocho, has already been on the show. He actually encouraged Mandy to reach out to us when she first moved to California and she made the drive from the Bay Area to Orange County just to hang out and BBQ with the 3four3 crew. Nick Rogers Talks About Using Street Soccer to Speed Up Player Development, Add Flavor and Change the Culture of the Game. 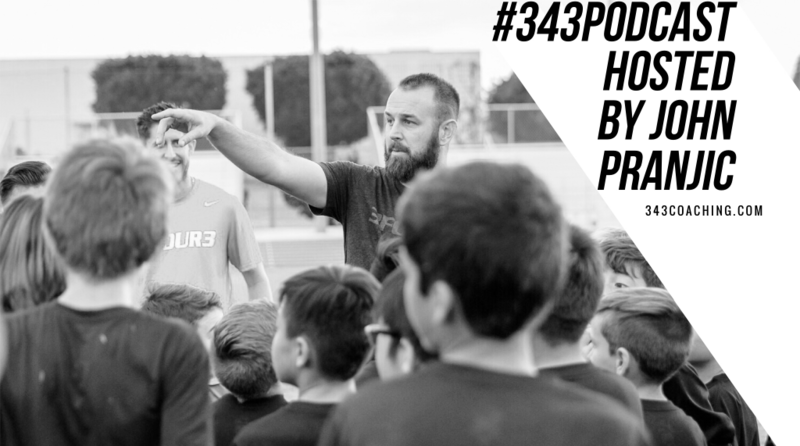 The post Episode 160: A Conversation About Coaching Education You’ll Wish You Heard Sooner appeared first on 3four3.